Thanks for making Solarize Mercer Island a success! We launched Solarize Mercer Island, our ninth campaign, in partnership with the City of Mercer Island. The Mercer Island Community Coalition and installation partner, Northwest Wind & Solar, worked hard to make this campaign a success. A very special thanks to the hard work and commitment of Ross Freeman, Sustainability & Communications Manager for the City of Mercer Island. His tireless efforts contributed greatly to the success of this campaign! Now that registration is closed and 43 more rooftops now have solar, take a look around to spot the sources of solar energy generation in your community! Congratulations for raising your hand to learn more about renewable energy in western Washington. 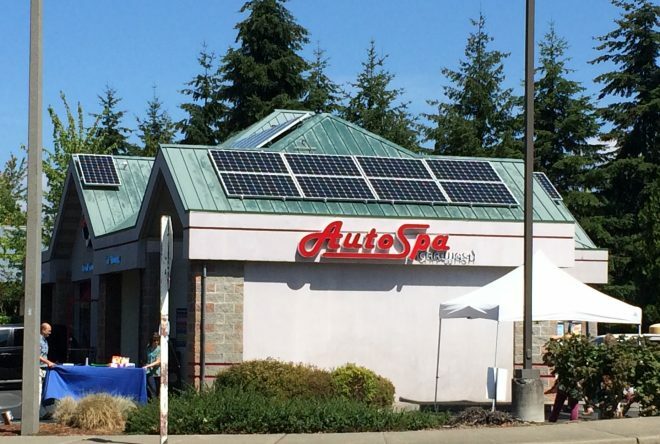 We celebrated our 500th Solarize Washington installation on Mercer Island with the AutoSpa. When the community hit 30 installs, Northwest Wind & Solar’s pledged donation of a solar “seed” installation became real. The City of Mercer Island has plans to expand this installation, click here for updates. 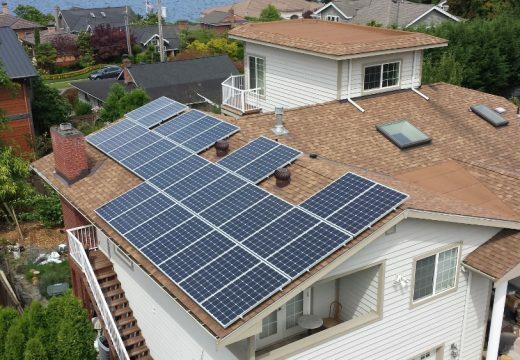 The installation team Northwest Wind & Solar was selected by your neighbors through a competitive process to serve Solarize Mercer Island customers. 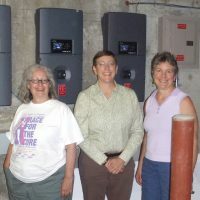 We've completed 297 of 297 kW!